Welcome to the 4th of July Giveaway Hop hosted by Karen's Got Mail. I have teamed up with a fantastic group of bloggers to share these giveaways with our readers. Be sure to hop around to the participating blogs and enter some fabulous giveaways! Also, make sure to enter the Grand Prize Giveaway which features a $50 Target Gift Card! **I received the products below in exchange for my honest review. All thoughts are 100% my own. Chances are most of you are probably fairly familiar with Pandora Charm Bracelets. Perhaps you have one already, or perhaps you have been eyeing them and love the look, but just cannot justify the price-y pricetag. Trust me, I understand! So, what if I told you that you could get the same style bracelets for a fraction of the cost? Guess what? With Soufeel Jewelry, you CAN! When I was recently contacted by Soufeel to review one of their bracelets and charms, I jumped at the chance. To help organize my thoughts, I've broken this review into four features worth noting. When giving jewelry as a gift, presentation is key, right? So I was thrilled when my bracelet and charms arrived beautifully packaged in a stunning white box and baby blue bow. (Unfortunately, said bow was a little too tempting for my bow loving toddler, so I have no pictures to share! But I assure it, it was very nice!) Included in my package was even a gift bag, perfect for gift giving! As mentioned above, these are the same style as one would expect from Pandora. I have always loved charm bracelets myself, but with my small wrists found that they could be a little overwhelming, so I love that these charms just slide onto the bracelet itself. I can get that same personalized feel of a charm bracelet with a much sleeker look! Soufeel offers a large variety of styles to choose from so you are sure to find something you like! Even the bracelets themselves offer several options, from metal to leather, and various styles of each. I personally loved the style of these birthstone charms- perfect to celebrate your own birth month, or this birth month of your children. (Mine indicates both my own August birthday, and both of my children!) The princess carriage was a perfect reminder of my love of Cinderella and the beginning of my husband and my relationship. The faith cross charm was a beautiful way to share my faith. And the peacock... well, quite frankly I just thought this one was gorgeous! In addition to these 4 gorgeous charms, I found myself finding many more that I would love to add! The Soufeel charms are made with 925 sterling silver, 14K gold or Swarovski elements. Now, I don't have a Pandora bracelet or charms myself to do a side by side comparison, but I have to say I was pretty impressed with the quality of my new Soufeel jewelry. It seems to be very well made and beautifully designed. I will say the clasp on my bracelet was a little tricky at first, but after I figured it out, it was pretty simple!! But if you're still worried about the quality, they offer 365-day return and exchange guarantee! With a deal like that, what's the risk? 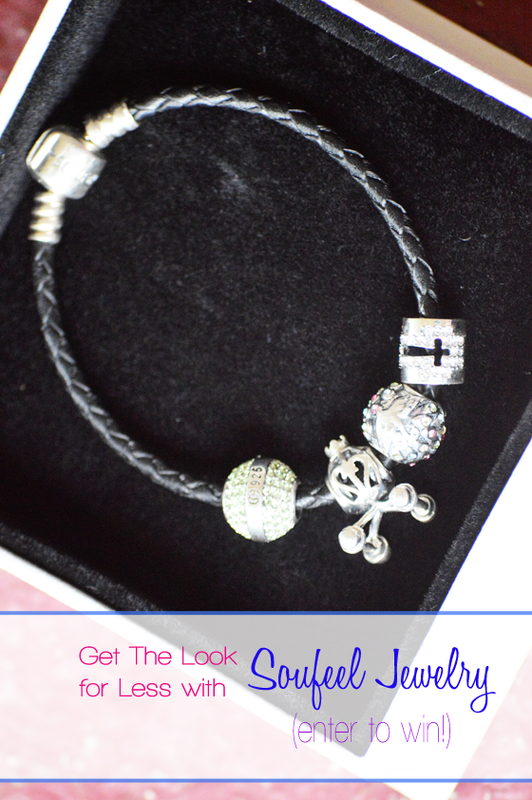 Soufeel Charms and bracelets are perfectly compatible with Pandora, but at a fraction of the cost! So, if you already have a Pandora bracelet you love but wanted to add a few charms to without breaking the bank, Soufeel has you covered! 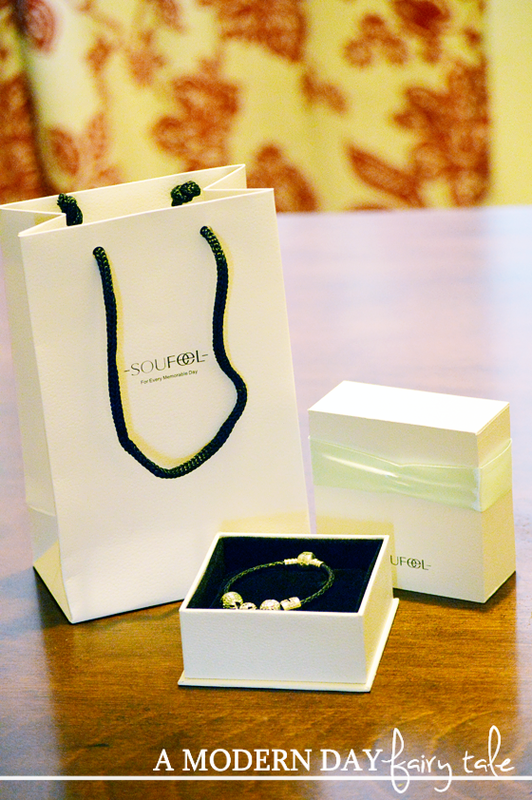 Likewise, if you purchase a Soufeel bracelet and discover a Pandora charm that you just have to have, it will work too! Not only are they much cheaper than Pandora at regular price, they also offer great deals like free products (the more you buy), daily deals and free shipping on orders $50 and over! And they're even offering my readers 5% off any order with the code Randi5!! Winner will be contacted via e-mail after giveaway ends, and will have 48 hours to respond before a new winner is chosen. One entry per household, winning entry will be verified. Odds of winning depend on valid entries received. 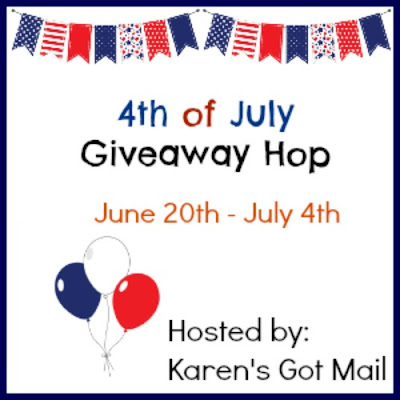 A Modern Day Fairy Tale is not responsible for prize delivery Karen's Got Mail and the 4th of July Giveaway Hop participating bloggers are not responsible for sponsors who do not fulfill their prize obligations. I would have to get the Austrian Crystal Angel Wing Ocean Blue Ear Studs. Beautiful. I would get a necklace with a few of the new style letter charms, I really like those. Thank you. I would definitely get the White Murano Glass Bead 925 Sterling Silver Charm AND several others!! This is a gorgeous collection! I's get the 925 Sterling Silver Basic Charms Bangle and several charms for it. I would have a really tough time choosing others, but I would definitely get some birthstone charms for my kids' months. They have such cute charms. I really like the Red Travel Suitcase Charm. I would like the Austrian Zircon Unique Earrings(White) and the Austrian Crystal Bowknot Round Ocean Blue Ear Studs for my daughters. I like the Austrian Crystal Flower Tears Stud Earrings and might get those along with another pair of whatever my daughter likes for earrings. I like the supermom necklace. Very nice. I Like the Austrian Crystal Column Multicolor Necklace and the Austrailian tear studs necklace such a pretty Blue..
One thing I'd get is the New Style Letter T Charm 925 Sterling Silver. Thanks. I like the My Lucky Star charm bracelet. I would maybe pick this austrian-crystal-angel-bear-necklace.